HARI OM BAND & WEDDING PLANNER PVT.LTD. (ESTD.-1965) is the best event organiser company.Its main purpose is to fulfill your all wedding desires & provide you best quality service. Hari Om Band is a brass band based out of Delhi . Hari Om Band's telephone number is 76-66-77-88-99, Hari Om Band website address is http://www.hariomband.com/, Facebook page is Hari Om Band and address is New Delhi. 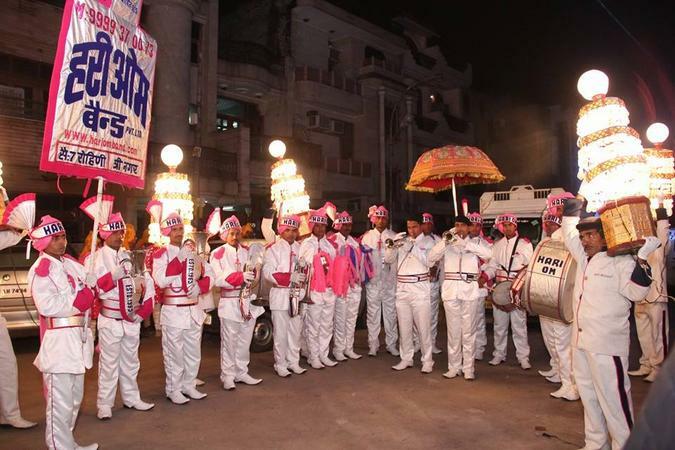 In terms of pricing Hari Om Band offers various packages starting at Rs 31000/-. There are 0 albums here at Weddingz -- suggest you have a look. Call weddingz.in to book Hari Om Band at guaranteed prices and with peace of mind.